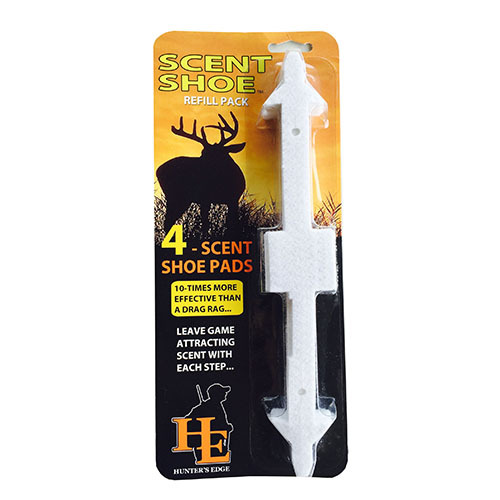 The Scent Shoe by Hunter’s Edge, is a revolutionary scent dispersal system, which allows hunters to leave game-tracking scent with each step. 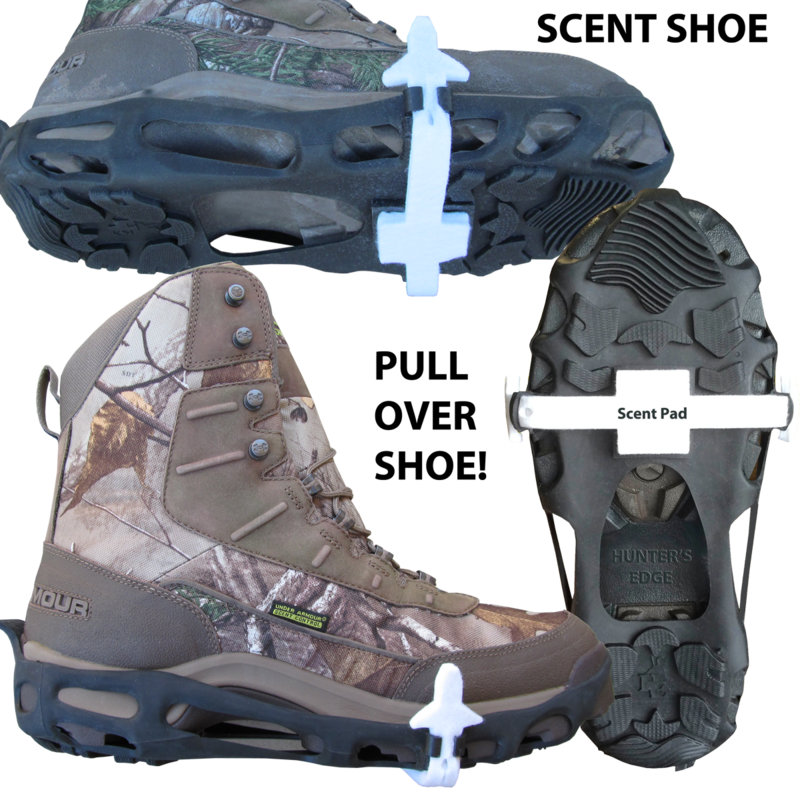 The over shoe design puts 10 times more scent on the ground than a drag rag, while keeping the scent off your boots and hands. 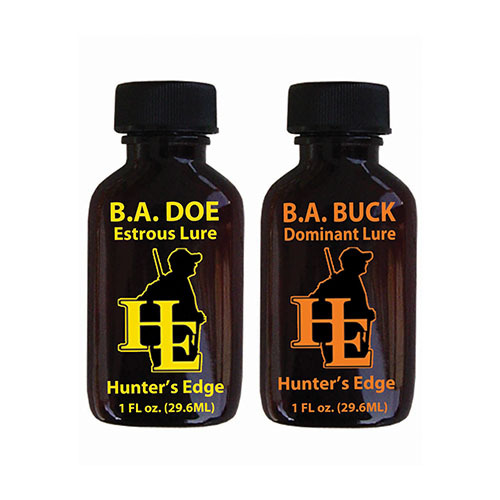 During the Rut, apply Doe Estrous Lure to one Scent Shoe Pad and Dominant Buck Lure to the other. This will imitate a buck chasing a doe, increasing your odds of harvesting a Trophy Whitetail.